Congratulations! It’s Friday! Look at all that coffee you drank at work during the week! 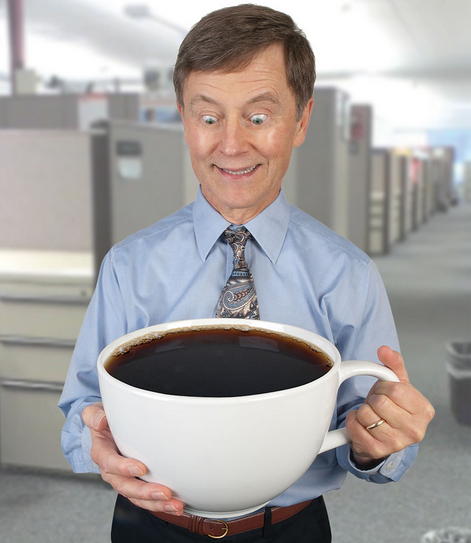 That’s The Caffeine Craver’s Colossal Coffee Cup! Now it’s time to relax! Hopefully during the weekend your head and large overworked hands will have a chance to deflate! TGIF! Everybody needs to expand their horizons every now and then. Even the monsters amongst us. 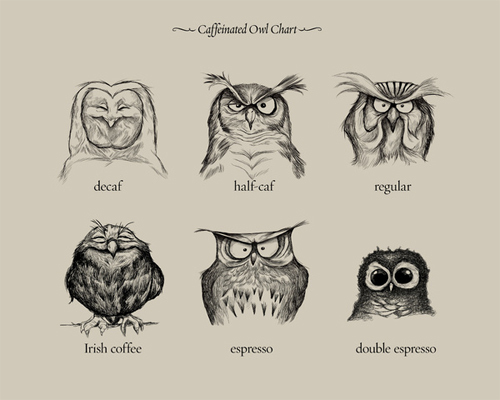 Perhaps especially the monsters amongst us… and considering how some of us feel before that first cup of the day, that might be a lot of us. 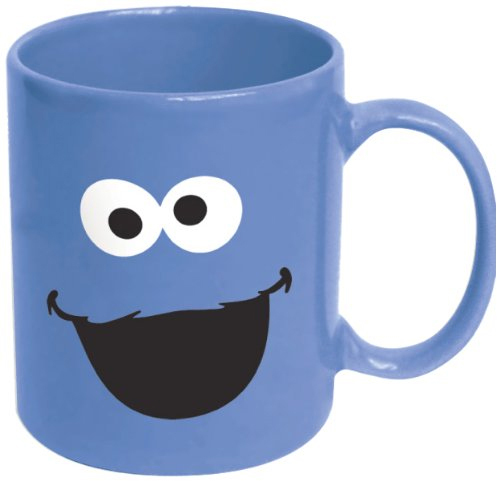 The ICUP Cookie Monster Big Face Ceramic Mug is sure to put a smile on coffee-needing faces. Especially since the Sesame Street Cookie Monster Om Nom Nom Nom Mug doesn’t seem to be available anymore. Get Your Gravity Right Here For Only $124.95! Using a dripper to make a make a mighty fine cup of pour-over coffee is about as old-school as it gets. Using the Starbucks Premium Pour-Over Brewer to brew said cup, not so much. Sure it looks nice, but does it look $100+ nice? Maybe — eye of the beholder and all that. But the question still remains: how does anyone afford Starbucks coffee after purchasing it? Bring beautiful, functional design into your home with this Premium Pour-Over Brewer, handmade by Darin Montgomery, founder of Seattle-based urbancase, a furniture and product design studio. 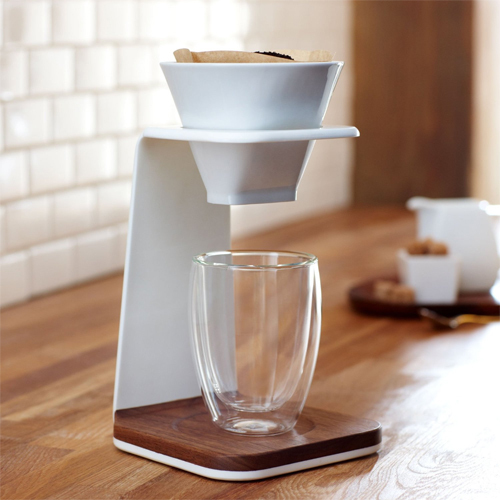 Made from Corian solid surface material and domestic walnut, this elegant pour-over brewer reflects the aesthetics and functional design principles that contribute to living – simply – well. The single-serving ceramic pour-over cone regulates water flow to allow for the full extraction of coffee flavors. The cone sits on top of the handmade brewer stand while your favorite mug or tumbler fits underneath. 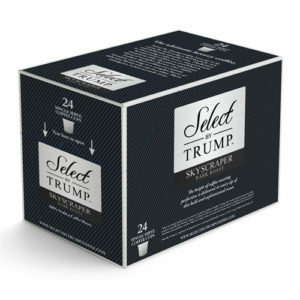 With proper care and maintenance, this premium brewer should bring years of use. Ceramic cone is dishwasher safe. — Important Care Information: Do not immerse in water. Clean with a damp sponge. A mild detergent may be used. Corian is maintenance free but the walnut will require some care. Over time the oil/wax finish will need to be refreshed. Use a food-grade penetrating oil available at most kitchen stores. Avoid using vegetable oils. Chilies, Vinegar, Garlic, Sugar, Salt, Ginger, Caffeine (coffee bean extract), & Natural Flavorings. 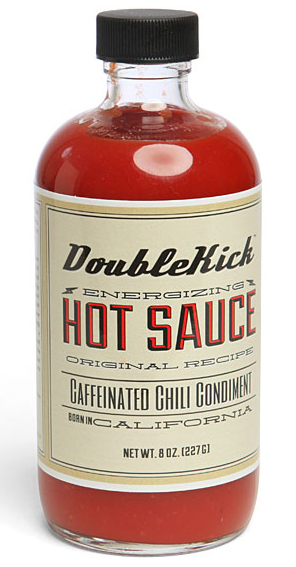 Combining the best of Asian and Southwestern chili sauces, plus ginger and caffeine for an extra energy boost, DoubleKick Hot Sauce is the great tasting way to keep food coma at bay. It is thick and rich, spicy and a tad sweet. Squeeze some on your favorite meats, egg dishes or pizza. Try a DoubleKick Bloody Mary and skip the coffee. Ditch the energy drinks and kick your meal into high gear with DoubleKick!